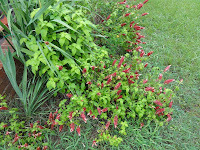 GoGardenNow - The Gardening Blog: Why aren't all my shrimp plants blooming alike? 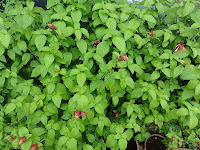 Q. I have some shrimp plants growing in pots while others are growing in my garden. The ones in pots have lots of foliage and very few flowers. The ones in the garden have less foliage but loads of flowers. Why aren't all my shrimp plants blooming alike? A. 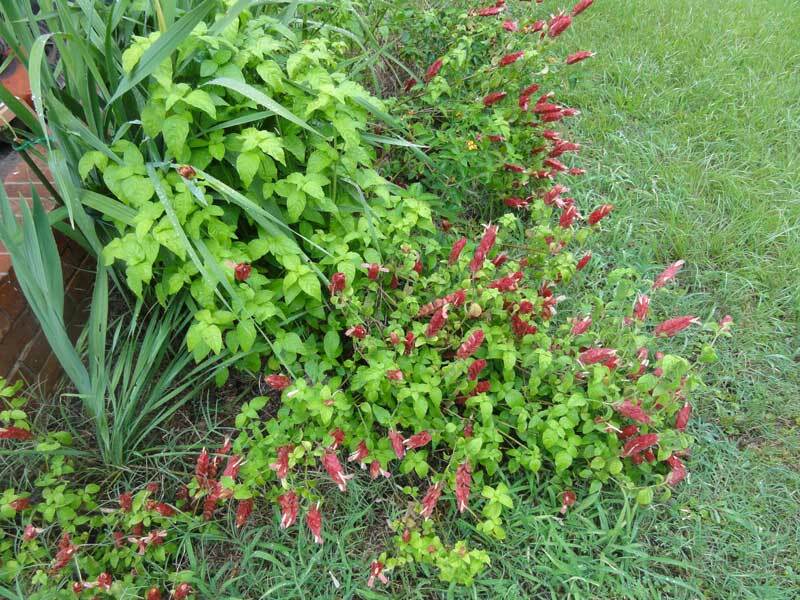 A few factors might be influencing your shrimp plants' (Justicia brandegeeana) foliage and flower. The ones in pots look like they have been pruned while the ones in the garden have not. That would account for the compactness of the potted plants. Pruning might also have removed emerging flower bracts. Soil fertility and pH might be factors. Some rapidly growing plants are so busy producing foliage they don't have time to settle down and bloom. Soil pH should range between 6.1 to 7.5. Take a soil sample to your nearby Cooperative Extension Service office for analysis. If you've been regularly fertilizing the potted plants, stop it for awhile. Some plants under stress will become more active reproductively, i.e. flower more. 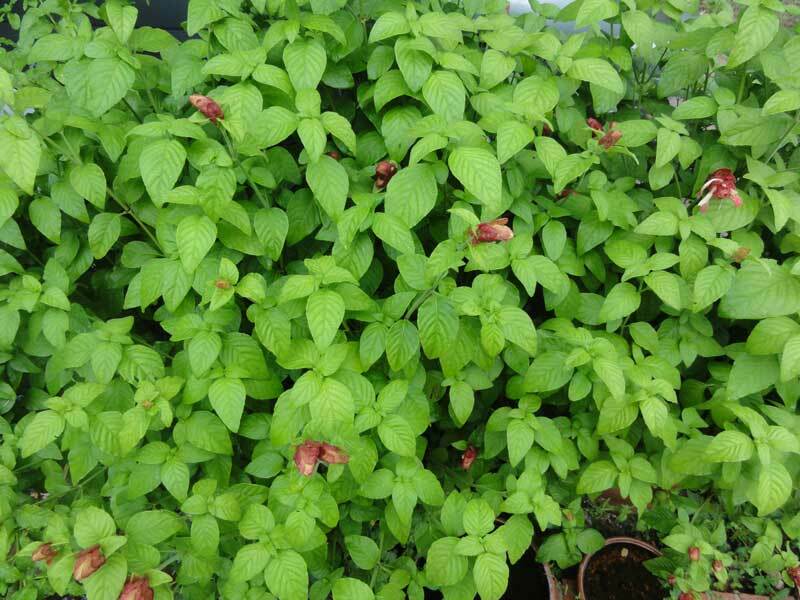 Perhaps the shrimp plants in your garden are experiencing more stress due to less soil fertility, greater sun exposure and general lack of attention. However, leaf color looks good in both examples so I think your plants are healthy enough. Your potted shrimp plants will probably flower plenty as the season progresses. I bet you'll be attracting many hummingbirds this year.